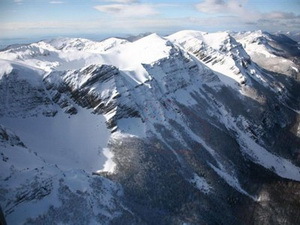 National park North Velebit is located in Croatian largest mountain chain Velebit. 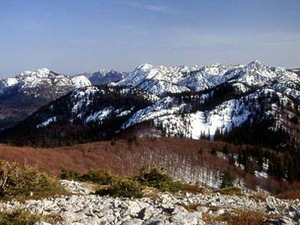 North Velebit has been declared as national park in 1999. 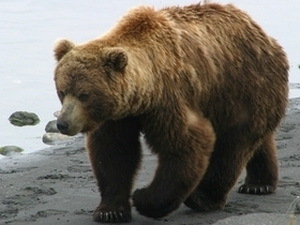 It is rich with natural beauties, vegetation and animal life. 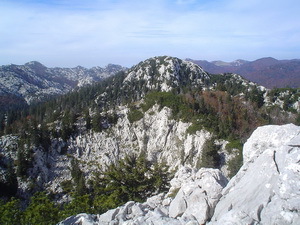 National park North Velebit is area with size of 109 km2. You can get to National park North Velebit through Otocac in Lika. You can travel by freeway A1 Zagreb-Split and exit at Otocac and go towards Krasno which is center of National park North Velebit. 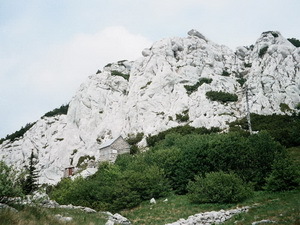 National park North Velebit has many caves, cliffs and barrows. Most known cave is Luka's cave which was discovered in 1993. It is one of the most deep caves in a world (1392 m). 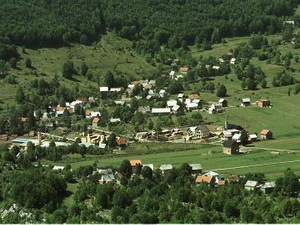 It is located in reservation Hajducki and Rozanski kukovi. Most of the caves and barrows are made tectonic activities. 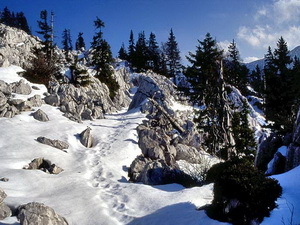 North Velebit also has many mountaineer's tracks. These tracks lead to many most beautiful and most interesting places in National park North Velebit. Most special view is a view from mountain peaks from where you can see islands Pag, Krk, Rab, Prvic and Goli. 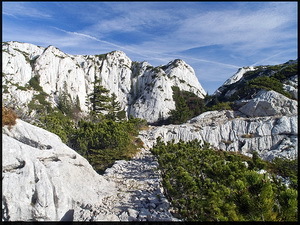 Area of National park north Velebit is built of sediment rocks. Limestone has been made by sediments in shallow sea during many years. Most beautiful parts of Hajducki and Rozanski kukovi are made of carbonate sediments. By melting carbonate sediments in water, karst is made. 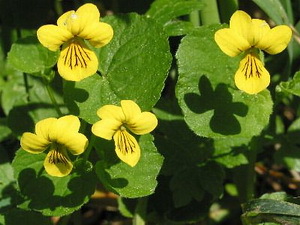 In area of mountain chain Velebit there are around 2700 plant species. National park North Velebit has around 1500 plant species. 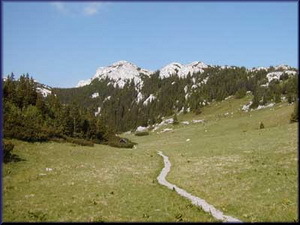 Most of the vegetation in North Velebit are grasslands, woods, karst terrain. Woods of North Velebit are mostly consisted of hornbeam and oak trees, beech trees, ash, maple, regular hornbeam, fir trees. On karstic and rocky terrain grow plants that don't need much soil to grow. 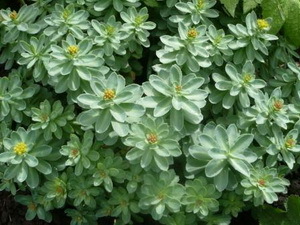 Those plants are: Silene saxifraga, Viola biflora, Saxifraga rotundifolia, Achillea clavenae, Sedum rhodiola, Leontopodium alpinum, Thymus acicularis and many others. 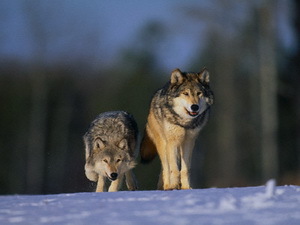 Largest predators in National park North Velebit are lynx, wolf, wild cats and brown bear. 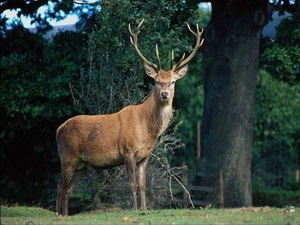 Also many other animals live in area of North Velebit, such as: deer, fallow deer, lizards, rabbits. In area of National park has been registered around 180 species of birds. First known inhabitants of area of mountain Velebit were Illyrian tribes Japodians and Liburns in 2000. BC. Croats inhabitated this area in 7th century. During the Austrian-Hungarian monarchy many roads and buildings were built and trade has been developed. Ziva vodica (Live water) is unfailigly source and two connected wells. Chapel of St. Ante from 1996. near Zavizan. 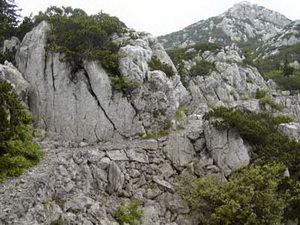 Premuziceva track leads through most interesting and most beautiful parts of Velebit. Rossi's cottage is located in Premuziceva track, built in 1929. Dundovic-padez is grassland with a chapel and remains of old settlements. Turkish doors is a passage through a rock near Strogir. In National park North Velebit it is not allowed to pick plants, leaving garbage, walk dogs with no leash, hunting, paragliding, camping, lightning a fire. There are no hotels, restaurants and coffee bars in National park North Velebit. You can get tea, coffee or beer in mountain home Zavizan. You should also bring warm clothes, because of weather changing. Price of a ticket for 1-3 days is 30 HRK (around 4 EUR), 4-7 days 50 HRK (around 7 EUR), year ticket 100 HRK (around 14 EUR). Adults older than 65 years and children till 7 years old have 50% discount.